As an IT Leader, Are You Predator or Prey? Business is a hotbed for conflict, and CIOs often find themselves at the center. Tina Nunno, Vice President and Gartner Fellow, familiarizes IT leaders with using Machiavellian tactics as a defensive weapon, and as an offensive weapon in extreme situations, so they can increase IT’s contribution to their enterprises. As a CIO, is it better to be liked or respected? How do you distinguish between risk and recklessness? When should you defend your position, and when should you give ground? Business is a hotbed for conflict, and CIOs are often at the center. As Italian political philosopher Niccolo Machiavelli implied, you're either predator or prey, and the animal you most resemble determines your position on the food chain. Gartner analyst and author Tina Nunno expands on Machiavelli's metaphor, examining seven animal types and their leadership attributes. She posits the wolf — a social animal with strong predatory instincts — as the ideal example of how a leader can adapt and thrive. 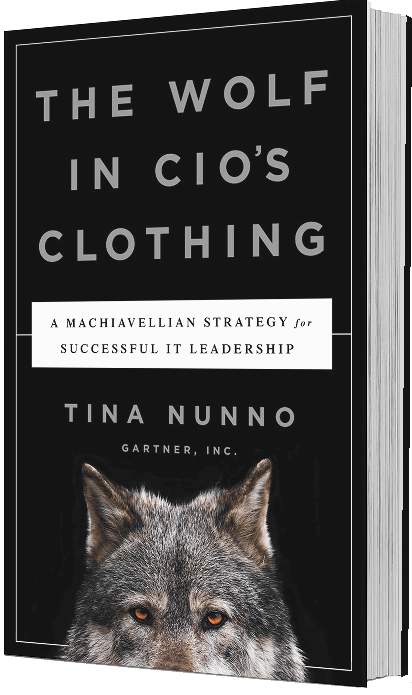 Drawing on experience with hundreds of CIOs, Nunno charts a way to master the Machiavellian principles of power, manipulation, love and war. Through compelling case studies, she demonstrates how CIOs and IT leaders can adjust their leadership styles for their own success and that of their teams. 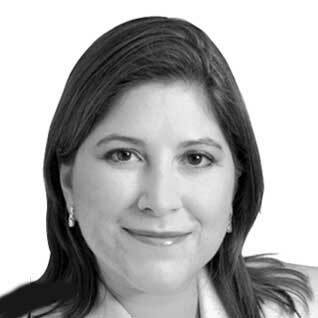 Tina Nunno is a Vice President and Gartner Fellow specializing in CIO-related management issues including working with the board; executive communication strategies; change leadership; and enterprise governance strategies. She focuses on specific strategies and tactics for managing IT political landmines, power dynamics and the politics of partnering with the rest of the business. Ms. Nunno presents as a keynote speaker at conferences around the world and is a founder of Gartner’s global Women’s CIO Community. Are you a “wolf” CIO? SVP and CIO, Kellwood Co.